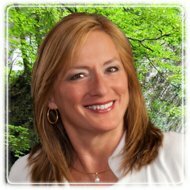 Chesterfield Therapist: Sharon Moehle - Therapist 63017. Client's often seek Sharon's services because they have been unsuccessful in meeting their counseling goals with talk therapy and medications, can't take medication, prefer to remain medication free, or want a combination of sophisticated counseling techniques. Sharon has over 23 years experience and she provides a compassionate, supportive and non-judgmental environment.